Key cards provide access control for hotels, club memberships, trade shows and other events. Front Desk Supply designs custom key cards for leading hotel chains and resorts. Our custom key cards are expertly designed to match your brand and door access control system. Make your guests stay more memorable and hotel profitable. Contact one of our helpful representatives to discuss your custom key card. Request a quote by calling 888-859-2061. RFID keys use electromagnetic fields to automatically identify and track tags attached to objects. 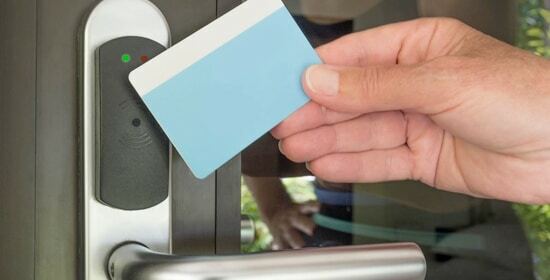 RFID is used in the hospitality industry with keycards, wristbands and key fobs for access control and events. 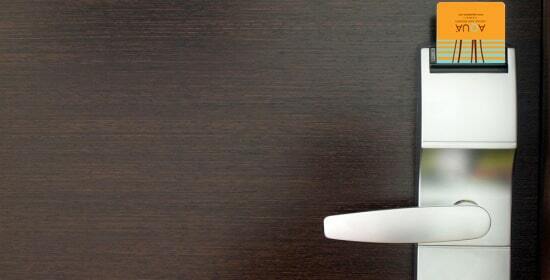 Front Desk Supply offers generic or custom designed RFID keys compatible with major access control systems. Magstripe cards have the dark strip of magnetic material often seen on the back of gift cards, loyalty cards and membership cards, which are used with a POS system. Magstripe cards are also used with access control systems as key cards and ID cards. Guests use hotel key cards approximately 15 times during their stay. Front Desk Supply focuses on making quality products with a memorable design. Guests won’t forget where they stayed! Because we have graphic designers on staff, we are able to produce custom magstripe cards and RFID key cards quickly and within budget. For custom quotes, sample or catalogue requests, contact one of our helpful representatives by filling out the form below and we’ll get right back to you! The hotel key card is often the thing your guests take home with them so take advantage of this opportunity and transform it into a memorable souvenir. Add a photo, describe your amenities and be sure to include your phone number and url. (Yes, it is kind of like a business card.) Spend time on your key card and your guests will take it home as a reminder and tell their friends. Make it Memorable! Plastic cards are a long lasting and convenient way to monitor poolside towels. After all, if you feature large, luxurious towels, your guests might be tempted to take them home. Keep it Profitable! Membership has benefits for members – display that proudly! We provide membership cards for frequent users/visitors, alumni clubs, health clubs, attractions (zoo, aquariums, etc). Let us help you design a memorable one that your members will hold on to. Give your visitors vital information at their fingers—right on their hotel key card. Include your booth number, a marketing message or the schedule for the day. Key Cards are seen 5 to 8 times a day, so you won’t find a better marketing tool. Make your special day even more memorable with a custom key card that you can give to guests staying at the hotel where the reception is held. Add a photo of the bride and groom for an inexpensive keepsake of the special day. Make it Memorable! VIP and loyalty systems work. If you want to generate more sales, you might want to consider initiating a loyalty system. These cards often lead to extra purchases or increased visits. Contact us and we’ll design a great card for you. Make it Memorable, keep it Profitable.